I have always been passionate about travelling by train and the unique sense of a journey it brings. Just sitting there staring at the landscapes passing by – the feeling of being ON THE WAY. It’s just different in a train compared to driving a car or taking a plane. Therefore I was extremely excited about exploring Switzerland by train this summer, and covering much of the stunning alpine country on tracks. Through three different language zones and ever changing landscapes. The tracks of the GoldenPass Line runs straight through the heart of the country and is stretched over three individual routes, between the equally beautiful lakeside cities of Lucerne and Montreux. (More on Lucerne in the Wilhelm Tell Express post). Travelling east to west, the first part takes you from Luzern to the ‘in between’ lakeside city of Interlaken, where you should hop off and spend at least one full day. Interlaken looks like a traditional Swiss city, but nowadays it’s visited by a large number of International tourists. Many of them come here to use Interlaken as a base for regional expeditions – like a trip to the local mountain Harder Kulm by cable car, or a longer journey to the ‘Top of Europe’. Here, outside Europe’s highest railway station (3.454 m.) at Jungfraujoch, you’ll find plenty of entertainment, beside the spectacular glacier view. Take to the snow for fun and games, or enter the icy maze inside the glacier. 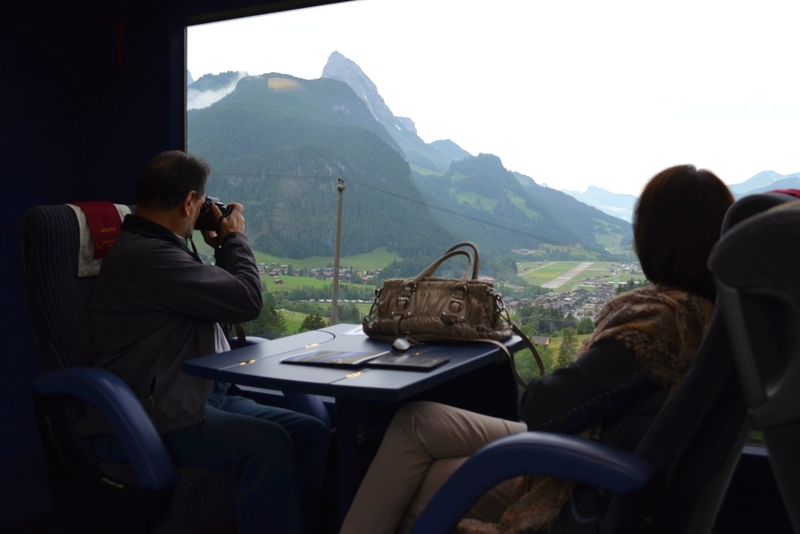 You can also enjoy a dinner in the thin air and visit the Jungfraubahn exhibition. 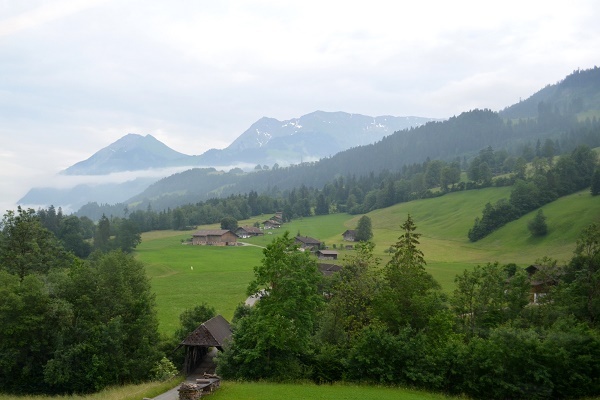 Leaving Interlaken behind you’ll feel the thrills of the hills on your way to Zweisimmen, through a classic central Switzerland landscape dotted with cottages and cows. Like the colourful cover art of Swiss chocolate. The contrast between Jungfraujoch and Lake Geneva is huge, and shows you how diverse this small country is. Changing trains in Zweisimmen will leave you with the option of a classy vintage style train or a modern panorama train (both should be booked in advance). From here you’ll soon leave the German speaking part of the country and enter the world of “Merci Beaucoup”. Keep and eye out for the picturesque city of Gstaad, and enjoy the view as the train later snakes down to your final destination at the shore of Lake Geneva. Montreux is famous for its annual Jazz Festival in July – the second largest in the world, and for having hosted many famous musicians over the years. Deep Purple’s “Smoke on the water” originates from here, and at the fabulous promenade along the lake, you’ll find a statue of Queen’s fenomenal frontman, Freddie Mercury. I really enjoyed my stay in Interlaken and the journey out west. I loved the riviera atmosphere in Montreux, and If you have the time – don’t miss a trip to the neighbouring town of Vevey. Get all the updates on Travelooney’s Facebook page!